If there’s another thing I’m convinced of it’s this: Lush Fashion Lounge has *the* best selection of holiday party outfits! Their Tinsels & Toasts collection just launched, and they have so many great options for fancier Christmas parties and sassy New Years looks! Plus lots of great more casual Christmas looks like this if you aren’t the fancy type. For my other holiday party outfit, I chose something I could wear without freezing my booty off all evening! Hallelujah for looking fancy while staying warm! 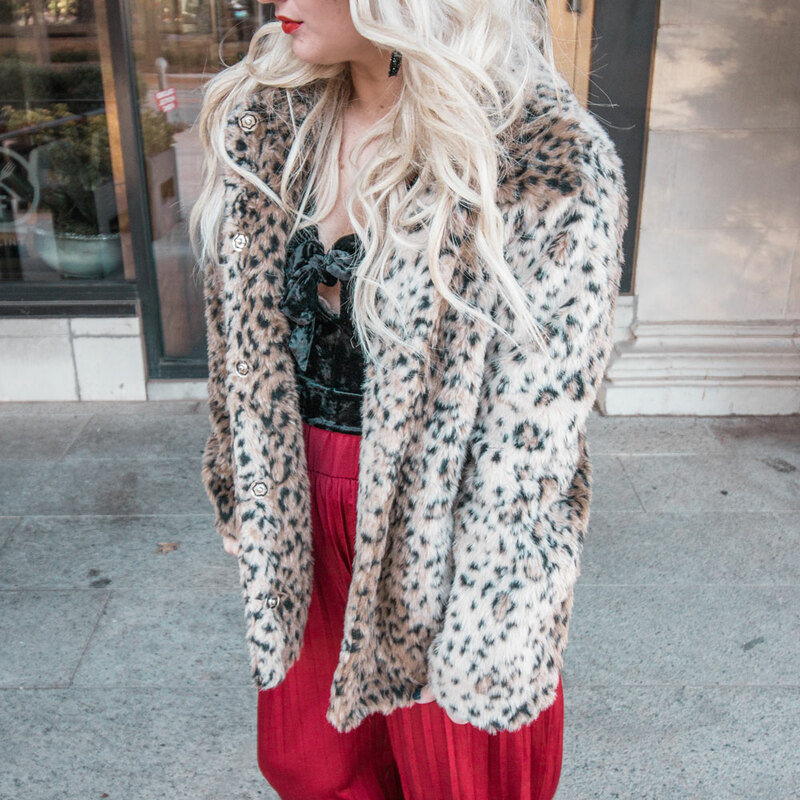 ;) This leopard coat is absolutely to die for, and I will definitely be styling this so many ways all winter long. And how fun are these pants!?! Definitely a stand-out piece, and I’m obsessed! These are so super comfortable too and pair perfectly with this black velvet bodysuit! Be sure and check out Lush Fashion Lounge for all your holiday outfits!! They have tons of great gift options as well. Thank you for reading!